Have you ever heard the expression “Everything but the kitchen sink”? If not, it’s an expression that implies that you use any and everything you have available in your kitchen (besides the sink, of course) to create a meal. This means anything and everything goes in terms of what ingredients you use! I have heard the expression used before for cookies, but today I wanted to call this column “Everything But The Kitchen Sink Frittata! 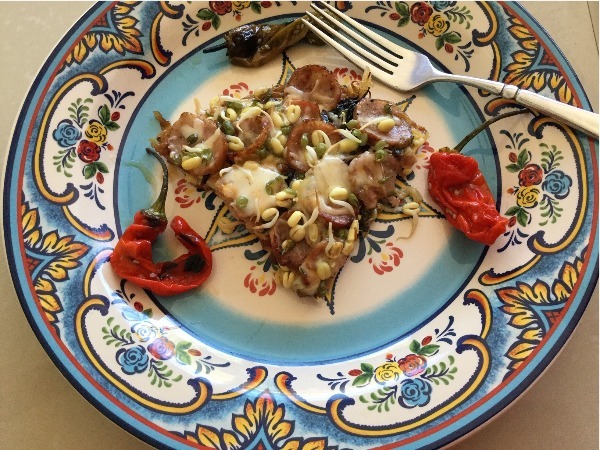 As long as you have eggs and cheese in your fridge, the sky's the limit as to what you can use to make this very yummy breakfast frittata. 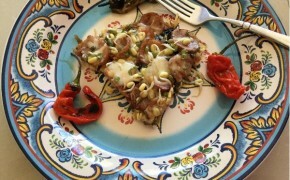 It is easy to make in your Sayulita kitchen, and delicious! I first discovered Sayulita about 25 years ago. I was born in Guadalajara, Jalisco, and I have been coming to Sayulita all of my life. Back then, it wasn’t as popular as it is now, but it was and is still just as beautiful. My brother and I both love surfing, and we had been told that Sayulita had a great beach and excellent waves for surfers, so we decided to check it out. That is how we made our first trip to Sayulita and discovered its magic. Now I live in California and I visit Sayulita twice a year. I have traveled all around the area, from Vallarta to Compostela. I also camped with my family in Chacala, as well as visited Guayabitos, Las Peñita, and San Pancho. However, nothing can compare to Sayulita! I always look forward to my trips; there’s no way I would ever change my vacation to go somewhere else except Sayulita! 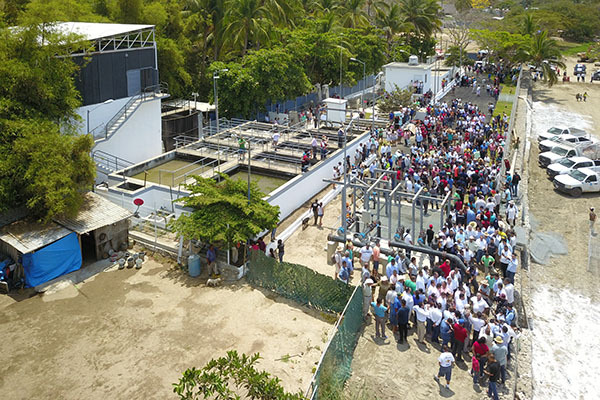 On Thursday, April 11th, 2019, the emissor pipe was successfully installed to the newly upgraded wastewater treatment plant in Sayulita. The Gobernador Antonio Echevarria Garcia, the Presidente Municipal de Bahia de Banderas, Jaime Cuevas, and the director of the CEA (Nayarit’s potable water authority), Martha Patricia Urenda Delgado were at the treatment plant yesterday, on April 16th, to tour and inaugurate the newly upgraded and fully functioning plant and emissor. Sayulita is now the only beach town in the area that does not dump grey water directly onto the beach. Many people turned out today to tour the plant and grounds, and it was great to see everyone involved in the process. There was also a noticeable lack of odor at the plant, which was a pleasant experience. The government of Nayarit also tested the water quality and the latest test results showed between 10 and 20 NMP / 100 ml enterococci, which is well below the 200 NMP / 100 ml limit set by the government for safe swimming. 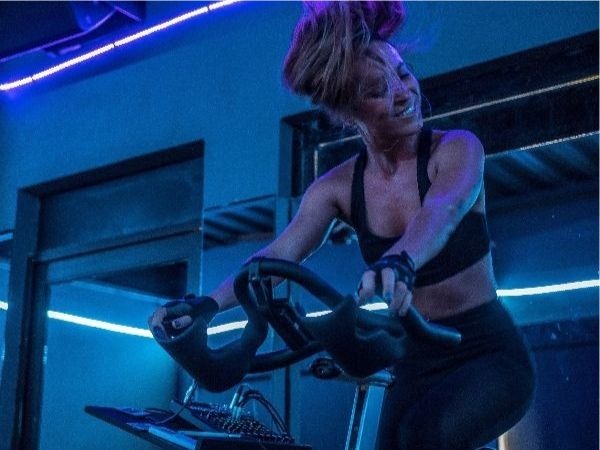 Feature Post SayulitaFit Gym- Experience the “Revolution Cycle” Class! I usually consider myself a pretty fit and healthy person; living in Sayulita, it’s easy to have a very active lifestyle since we spend so much of our days outdoors. For example, I can walk everywhere, I take my dog on runs through the jungle quite often, I surf, and I dance. For these reasons, I had convinced myself that I didn’t need to go to a gym to get a good workout, since I had ways to be active. Therefore, it had been a long time since I had stepped foot inside an actual gym, so I was a bit out of my comfort zone when I decided to try the revolution cycle class at SayulitaFit. After taking this class, I realized I was wrong; there are so many added benefits to being a part of a group workout experience that you simply can’t get just from being active on your own. The revolution cycle class is so much fun, and a really fierce workout. The dance style music, the dark room with neon lighting, and the vivacious energy from the instructor, all makes you feel like you are in a nightclub, not in a gym. You forget you’re “working out” until the end when you realize how sore your legs are. This class left me barely able to walk afterwards, but oh, the burn felt so good! 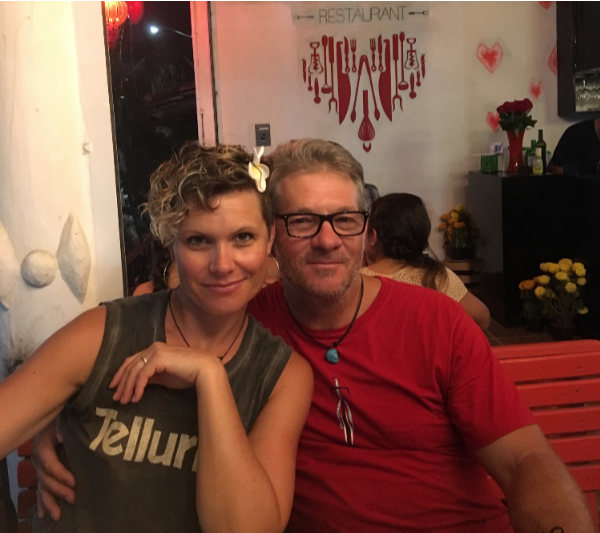 My wife, Heidi, and I are about half time in Sayulita, and half time in Durango, Colorado. 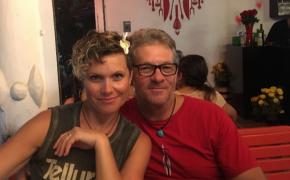 I’m in Durango as I write this story about our journey to Sayulita. I first came to Sayulita over 11 years ago (around 2007). One of my best friends was getting married at the time, and he wanted to do a surf camp for his bachelor party. It was going to be in April, and he was looking at both Florida and the San Diego/Baja area as possible places to go. Most of us were coming from Colorado, and both Florida and California had its positives and negatives as a potential location. 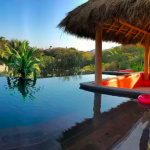 I had recently seen an article about Sayulita in the New York Times Travel section, and the article described Sayulita as a chill, surf /fishing village, with an easy-going, bohemian feel, just North of Puerto Vallarta. This very special property is located just two blocks from the beach and has ocean view from the upper deck. 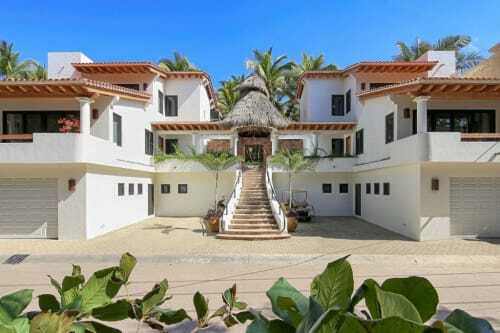 Sold by Sayulita Investment Realty. A beautiful, brand new 1 bedroom bungalow in a great south side neighborhood. With breathtaking jungle views, a short walk to town. 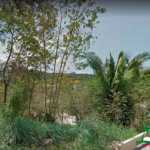 Great lot Fully Titled For Sold by Owner in Sayulita! 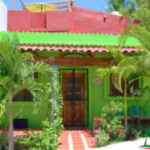 Only a 7 minute walk to the main plaza and 9 minute walk from the beach. The lot is located in a residential neighborhood. Emerging from the visionary experience of Dr. Najmabadi, Dr. Ohadi and Dr. Ahdoot. 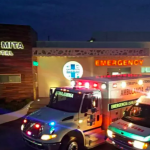 They realized the limited access to quality health care services in the area and decided to make a difference in Punta Mita, Sayulita and the surrounding areas. We are Carlos & Melissa, a husband and wife team working together as destination wedding photographers in Sayulita, Puerto Vallarta, Yelapa and Punta de Mita. Hi there. My name is Frederic and I’m about 10 months old. I am only 13 kg and rather elegant. I was spotted walking by a busy highway, my skinny bones sticking out, with my neck was almost cut open by a tight rope. I was very shy and didn’t trust anybody, but now I understand that people mean well. I love to play and swim. 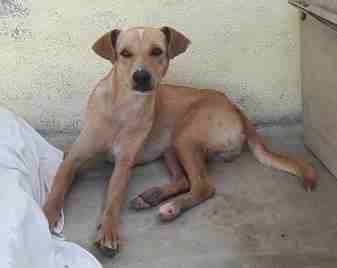 I like other dogs and cats and with a little time I will be your most loyal friend.